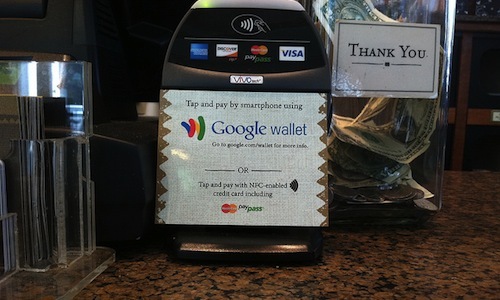 The long-awaited mobile payments platform Google Wallet may be making its public debut today. Google announced the service months ago, but the wait could be over as more payment modules appear at retailers. The search giant has been testing its Wallet at select retailers over the past few months. Although Google stated that the service would launch over the summer, reports on a soft launch are beginning to roll out from blogs like GigaOm and TechCrunch. Google Wallet is a mobile payment system that will store credit cards, loyalty cards, and gift cards using an Android app on your smartphone. Once it’s installed, you will just tap your phone on a PayPass reader when you check out at participating merchants. Payment and loyalty program information are instantly transmitted through the phone’s Near Field Communication (NFC) chip. NFC is wireless technology that allows small pieces of data to be transmitted between two devices in close proximity. The data can be credit card information, promotional advertisements, discounts, and so on. The technology has been used in other countries for quite some time, but it’s just beginning to grow in popularity in the U.S.
At launch, only the Nexus S 4G on Sprint is compatible with Google Wallet. Additionally Google Wallet will only work with Citibank MasterCard accounts that are PayPass compatible and the Google Prepaid Card. Previously the company showed off an NFC sticker that can be fixed to an Android phone, making it compatible with the Wallet. It’s still unclear if these stickers will be a part of the service’s initial launch. The company hopes that its tap-and-pay system will one day convince you to replace your wallet, plastic cards, and paper coupons. The mobile payment space is growing in popularity and with Google’s support it has gained much more attention from key mobile players. Ultimately though it will be up to you, the consumer, as well as merchants to decide if this system will be of value. 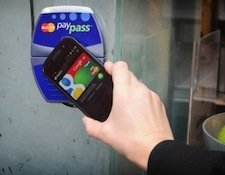 Update: Google has confirmed the official launch of Google Wallet. While the rollout is still small – only Sprint Nexus S 4G owners will be able to use it – the company has announced that it’s working toward supporting Visa, Discover, and American Express cards. As an added bonus Google is giving $10 Google Prepaid Cards to early adopters that give the Wallet a try before the end of the year.